"The tour is over but what great memories we've made in the last two weeks. 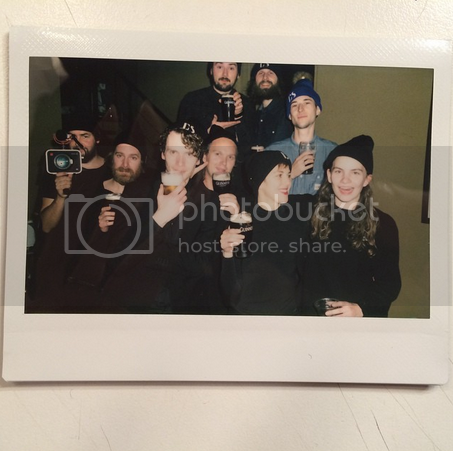 It was such an honour to tour with Lykke and her band and crew. I also had the pleasure of joining them on stage for 'Get Some' on the last three nights. No rest for the wicked as we begin the recording of the album tomorrow. I feel like this is just the beginning of something awesome." 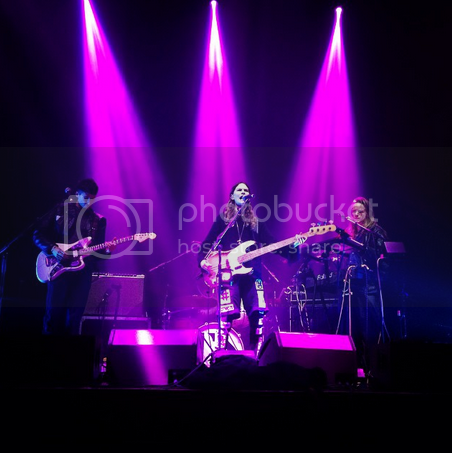 Eliot Sumner was recently invited to support Lykke Li on her latest tour, which fills us with an immense amount of joy because we think she's fantastic. To celebrate this momentous occasion, we asked Sumner to dive into her photo collection for this review-slash-photo feature. Me, Nick and Gav with some of Lykke's band and crew celebrating with Guinness. 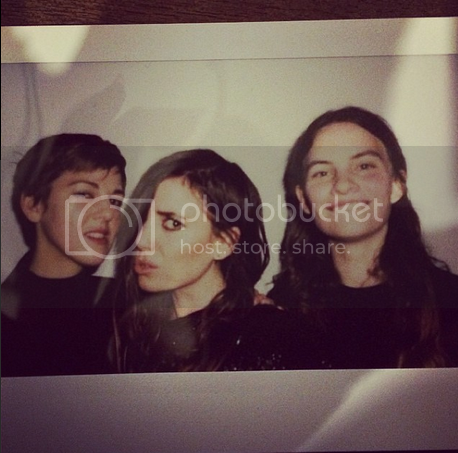 Photo courtesy of Eliot Sumner (by Lykke Li). Photo courtesy of Eliot Sumner. 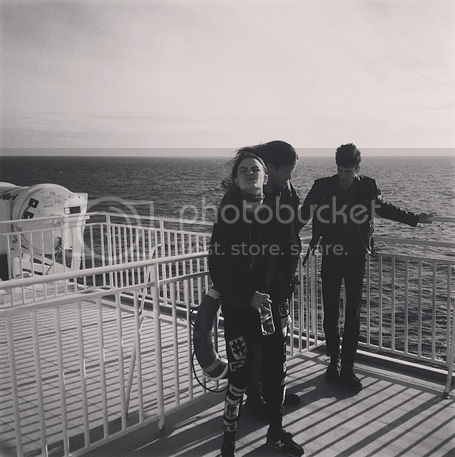 On the ferry from Holyhead Wales to Dublin with Jan and Nick. It was windy. 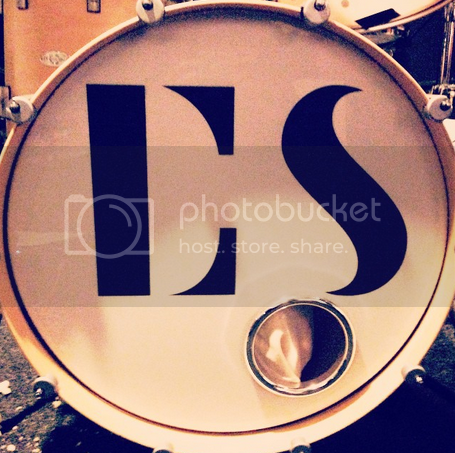 My brand-new ES drum skin. The last time I was lucky enough to chance upon a live performance by Swedish pop triumph Lykke Li was back in May when she was first peddling the wares of her third studio album I Never Learn in the intimate setting of Village Underground in Shoreditch. This time around I was contemplating how the diminutive Li would be able to make her presence felt on the much grander stage at the Hammersmith Apollo, but I needn't have worried as from the outset her compellingly emotive vocals drew everyone's eyes and ears upon her. Before Li took to the stage, the progeny of Sting and Trudie Styler, Eliot Sumner made her presence felt with a warm up set steeped in grunge revival. At first I thought the guitar thrashing and full force vocals were an incongruous choice for ethereal Li's support act, but Sumner brought enough energy to the stage to light up London's Christmas decorations for a year. Following this kind of energy Li decided to play it cool and build up her own energy on a gentler arc. After a meandering start from our headliner, launching in with 'I Never Learn', 'Sadness Is A Blessing' and 'Just Like A Dream', Li began to add more drama into the mix. Cutting a jagged figure wearing an angular black jacket, Li was silhouetted against a backdrop of black drapes and bursts of white strobe lighting as she sang the catchy 'No Rest For The Wicked', which her backing band brought to life in the chorus. The theatrics continued with the industrial drone of 'Silent My Song', which cut away in the middle to a ethereal multi-layered harmony. The highlight of the evening was a skilfully reinvented cover of Drake's 'Hold On, We're Going Home', where Li melted her sultry vocals over a shadowy synth melody. Following this she teased out the intro to the ever popular 'Little Bit' by escalating the excitement of the crowd with the use of strobe lighting and adding darkly psychedelic elements to the backing synths. The sombre black stage setting sat well with the melancholic themes from her current album, which was written post break-up. She used the rest of the set to pepper heartfelt ballads amongst punchier tracks such as 'Gunshot' and the playful 'Get Some'. The latter of which saw Li joined on stage by her support act Eliot Sumner for a riotous rendition. Returning to sing the vocally challenging 'Love Me Like I'm Not Made Of Stone' for the encore Li exposed her vulnerability by confiding that even after seven years of touring she still suffers from stage fright. It's this willingness to bear her fragility and openness through her lyrics which have helped her to draw in a loyal fan base. As the crowd poured out of the auditorium The Beatle's 'Don't Let Me Down' blared out of the speakers, but Lykke Li was in no danger of letting anyone down with such a strong performance as the one just witnessed.